Interested in contributing to Stella? Stella magazine is happy to accept submissions of photography, graphics & illustrations, and written work. However, before contacting us, we firstly ask that you have read Stella and understand our style and content. Please help us by including a few short details about yourself and why you are getting in touch – where you are from, what your background is, and how you think your talents, skills, or products are suited to our magazine and its readers. Before you submit, you must also be aware that we are an independent magazine, so budgets are limited. Stella is a platform for emerging and established writers from the Pacific region to have their articles and creative-journalism edited and published. We are very specific about maintaining a cohesive voice and set of values in the magazine. If you have an idea for an article, whether complete or a pitch, then please email us with a few details and samples of your work. 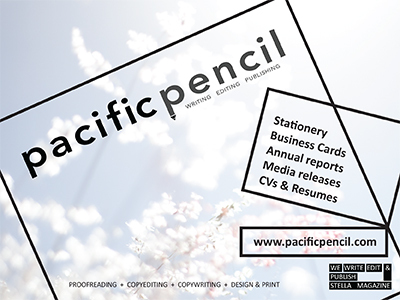 We accept articles of various lengths including 400, 800 and 1200 word pieces. Please contact us to discuss larger works. Please keep emails brief and clear and attachments as simple as possible (a simple .doc format or PDF is preferred). Please label your documents with: _CONTRIBUTOR NAME_TITLE OF WORK_ & include numbers to the tail if submitting more than one file in a body of work. We look forward to publishing your work. If you would like to contribute to the photography in Stella magazine, please email us with ideas and/or samples of your work. If you have done a shoot that you think may suit Stella, please feel free to contact us with some sample shots and details of the shoot – including the theme and how it relates to our Pacific lifestyle. The submission will not be considered without these details. Please remember that Stella encourages the use of ‘real’ and realistic models and will also not publish any images with models wearing culturally inappropriate clothing, excess cosmetics, smoking, drinking alcohol, or engaging in any other behaviours that go against our core values. Also please keep any attachments small, preferably in jpeg format and clearly labelled (see above). We will contact you if we require any higher-resolution images or further details. As with writers and photographers, we are always open to the work of new talents. A simple email with some examples of your work and/or a link to your website or blog is most welcome! Interested models are invited to contact us at hello@stellamag.com to request an application pack. You will be asked to attach 6-12 images including a headshot, full length shot, and images that portray character variety and connection to culture. Please remember that Stella encourages the use of ‘real’ and realistic models and will also not publish any images with models wearing culturally inappropriate clothing, excess cosmetics, smoking, drinking alcohol, or engaging in any other behaviours that go against our core values. Also please keep any attachments small, preferably in jpeg format and clearly labelled [see above]. Still not sure exactly what to say? Here are some quick guidelines to help us really hear you. Be specific. Think about who the characters are and how you will use them to tell the story. You should be able to summarise the point of your story in a sentence or two. We might respond to you with some questions and we are more likely to run with your pitch if it’s clear you’ve already done some legwork and know why and how you will tell this story. Get familiar with Stella by reading past articles, especially in the area you’re pitching. Know what we’ve covered in the past, how we cover it, and familiarise yourself with the distinct Stella voice. If your idea is new, tell us why Stella should be introducing it. Show relevance for our readership. Tell us why this story matters to islanders and indigenous people. Don’t fall into the “because it’s there” trap. Why do we need to read this story? Why is it relevant right now? What does it matter? Do you have or can you get photographs related to your story? Do you have high-quality professional photos you can provide? If you can put us in touch with someone who can provide images to go with your story, that’s a big help to us. Do you have a story you’d like us to cover in Stella magazine? Stella provides editorial and photographic services at a price for the right stories. Tell us why we should feature yours. We will only accept pitches via email. Please do not call us or request a meeting. We will probably mistake you for a telemarketer and block your number. Allow up to two weeks for queries on Stella stories. If you haven’t heard back from us by then, feel free to send us a reminder email, but please not before then. 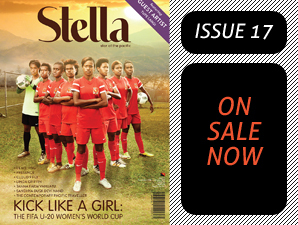 All editorial queries for Stella should be emailed to Editor Amanda Donigi (editor@pacificpencil.com). Unfortunately, due to the volume of emails we receive, it isn’t possible for us to reply to everyone immediately or provide feedback for all submissions we receive. However, we do thank you for thinking of us and contacting us – any support is greatly appreciated! PLEASE NOTE: We cannot take responsibility for any unsolicited emails or ideas, as many people often contact us with similar ideas and pitches (or it may be something we have already thought of ourselves). Also please keep in mind our lead times of several months before an issue is due. For internships with Stella, please see our application guidelines HERE.